We have another spoiler for the June/July 2017 Love Goodly subscription box! This custom-designed, dual-purpose hairband and bracelet from GemTye features either a black or turquoise enamel heart charm on a black cord. Wear alone or stacked with your wrap or bead bracelets, or for those of us with longer locks it’s the perfect stylish hair accessory during hot yoga classes! Fair trade, handmade, vegan, charity. 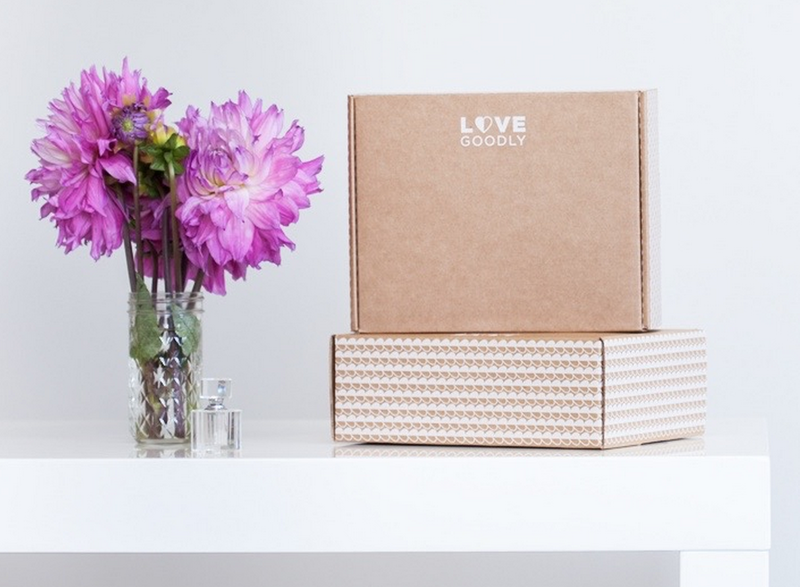 Personalize your box! Email [email protected] to choose either Black or Turquoise heart charm. Please put “Heart Color” in the subject. If we do not hear from you by May 30, we will select for you. From the vegan, cruelty-free beauty line by Kat Von D, a life-proof lipstick in stunning Lovecraft that will not wear off! Newly reformulated with safe, toxin free ingredients, this creamy formula glides over lips like a gloss and sets to a true matte finish. Along with 24-hour wear and high-pigment color, it’s packed with natural moisturizers, including Vitamin E and Sunflower Seed Wax. Cruelty-free, vegan and nontoxic. The June/July Box, shipping 6/5, supports Farm Sanctuary, whose mission is to protect farm animals from cruelty, inspire change in the way society views and treats farm animals, and promote compassionate vegan living. This is a big ol’ SKIP for me. At least they make it easy to leapfrog over a box you don’t want, I appreciate that. I think this will be a skipped box for me. The bracelet probably won’t fit my large wrist even though it’s cute and I wasn’t thrilled by the 1st spoiler. I’m kinda digging this box. I’m putting it on my i want list. I’m so excited to get my first box. 🙂 I’ve always wanted to try out KVD lipsticks and the black bracelet is super cute. Too bad they don’t do longer subscriptions. so far so good! this box has been doing pretty well for the last 2 boxes and this box. Hope they can keep up like this and I’ll switch from pop sugar to Love goodly completely. I picked the turquoise one, very cute! What do you mean “picked?” Isn’t it just a random chance that a subscriber will get one or the other? Liz posted the information on personalizing your box. You simply email Love Goodly with your choice of color for the bracelet. 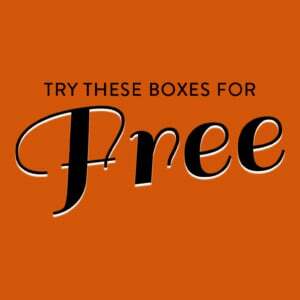 They usually have one or two items in every box that you can customize.